Hosted by funny moms Margaret Ables (Nick Mom) and Amy Wilson (When Did I Get Like This? 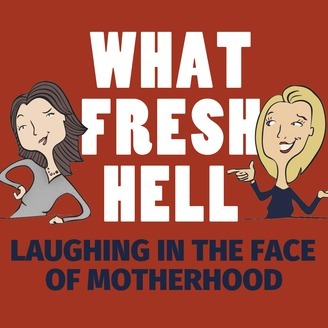 ), “What Fresh Hell: Laughing in the Face of Motherhood” is a comedy podcast solving today’s parenting dilemmas so you don’t have to. We’re both moms of three, dealing with the same hassles as any parent, albeit with slightly differing styles. Margaret is laid-back to the max; Amy never met an expert or a list she didn't like. In each episode, we discuss a parenting issue from multiple perspectives and the accompanying expert advice that may or may not back us up. We talk about it, laugh about it, call out each other’s nonsense, and then we come up with concrete solutions. Join us as we laugh in the face of motherhood! Winner of the 2018 Mom 2.0 Iris Award for Best Podcast, the 2017 Podcast Awards People’s Choice for Best Family and Parenting Podcast, and thebump.com "Best Parenting Podcast." 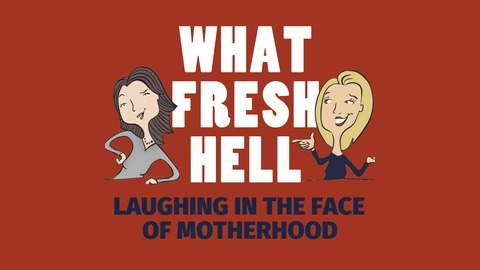 whatfreshhellpodcast.com. It’s easy for most parents to explain what’s wrong with how our kids speak to us: the snark, sarcasm, and eye-rolling are all things we could use a lot less of. But could the way we talk to our kids use a little fine-tuning as well? Dr. Wendy Mogel’s latest book, Voice Lessons for Parents: What to Say, How to Say It, and When To Listen, is just out in paperback. In this episode, Dr. Wendy Mogel tells us how to bridge the ever-more-complicated communication gap between parents and children, no matter what age our kids are. Over the last two years we've quoted Dr. Mogel more than any other parenting expert, and no surprise- this interview is full of "aha moments" and great ideas. You can read and download the full transcript here.